Strepsils Handy Tube Honey & Lemon for the soothing effective relief for sore throats, whilst on the go. 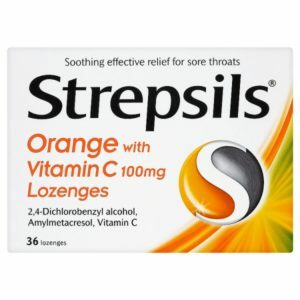 Strepsils Orange with Vitamin C 100mg Lozenges provide effective relief from the discomfort of sore throats. 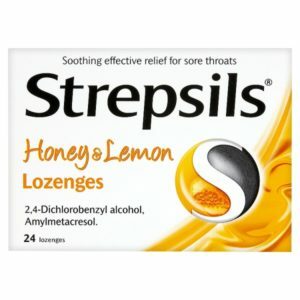 Strepsils lozenges provide effective relief from the discomfort of sore throats. Strepsils sore throat and blocked nose, effective dual action relief menthol helps unblock your nose. Strepsils Strawberry Sugar free Lozenges Dual antiseptic action 36 Lozenges are a soothing effective relief for sore throats. Strepsils Warm are for the symptomatic relief of mouth and throat infecions.